My first ever bird journal! Lots of birders recall their “spark bird” – the sighting that gave them the bug to bird – fondly. I don’t have a spark bird. I have a spark weekend. There’s this neat bookstore in the nearby town of Bethel called Byrd’s Books. In this do-or-die time for independent book sellers—there’s a lot of competition out there from Amazon, mostly, but from other large outlets that sell books at a cut price as well, such as BJs and Costco—they constantly have to invent new ways to keep themselves alive. One of the ways Byrd’s does this is through the creation of community. Alice works hard to host a number of interesting events. 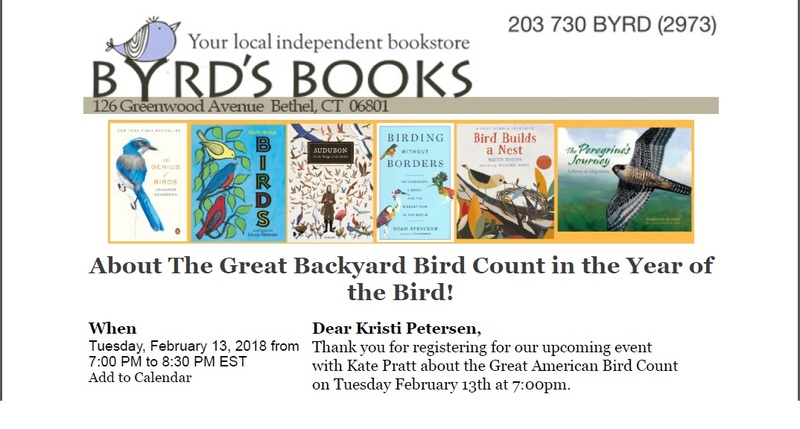 In late January, her newsletter heralded an introductory session to the Great Backyard Bird Count—an annual event that takes place around President’s Day Weekend. 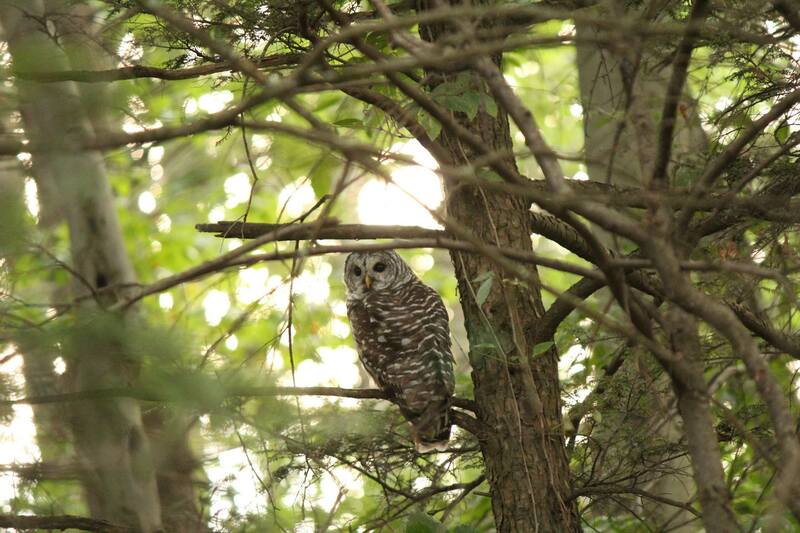 It’s when birders everywhere count the birds in their yards or anywhere else they visit, and make reports each day. The National Audubon Society and the Cornell Lab of Ornithology then use these reports to create a real-time snapshot of local bird populations. In prior years, this count has been exceptionally helpful in noting increases and decreases in certain populations and, for example, how changing weather patterns have affected them. I signed us up immediately—Nathan has been a birder for years, and I’ll admit I never understood the appeal of it, but it would be an interesting date for us. I was excited, because I knew Nathan would be; I also love going to lectures on just about anything, and I love participating in citizen science. Besides, maybe I could figure out what the heck it is he loves about sitting out on our back porch for hours watching birds. Nathan and I at Byrd’s Books. Nathan treats me to a couple of things to help get me ID birds if he’s not around. Nathan works on marking our most common backyard visitors in the guide we just got. Whatever it was got me too. The four-day stint turned into an addiction, and I’m now one of countless birders (there’s some discrepancy about how many birders there are in the US and the world. If you’re interested, you can read about that here). Nathan checks the yard for birds during the Great Backyard Bird Count. Great Backyard Bird Count sheets for field recording. I’m out there every morning with my coffee, watching the birds come to our feeders (I’ve changed my morning routine – I get up half an hour earlier so I can fit in that time). I have a new appreciation for binoculars. 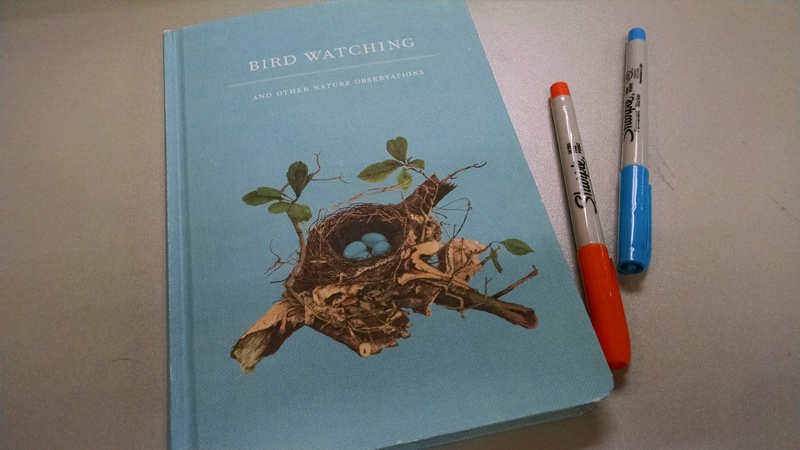 I have two birding journals going. I love to log in to ebird and share what I’ve seen. Birding podcasts have been added to my listening rotation. I get a thrill to visit new places—not just for the thrill of visiting new places now, but for the thrill that I might see a new or different bird. 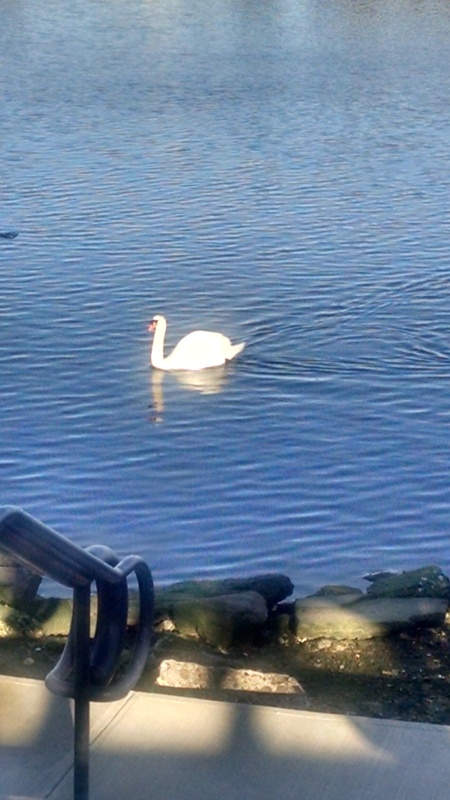 And my morning stress levels have dropped considerably—watching birds is a lot like watching fish. Chills a person right out. But most of all? I love the birds. Some of them are distinct in size and/or markings, so I can tell them apart as individuals with little personalities (like Hugo, the largest of our three titmice who never shuts up. I mean, never. Except when he’s eating). So, you might see a birding post or two from here forward—especially if I see something cool or if we go do a birding activity. For now, I’d like to introduce you to some of the special birds in my past, as well as some of our current birds, especially Fattypants, our male Carolina Wren that’s been hanging around here all winter. Did you know that only the male Carolina Wrens sing, and they have one of the loudest sounds in the bird kingdom? For the record, this winter we’ve had between 10 and 16 species in the yard on a daily basis. The Great Backyard Bird Count takes place every February (in 2019, it will take place from the 15 – 18). For more information, visit here, or visit Ebird here. White Ibis in Walt Disney World. 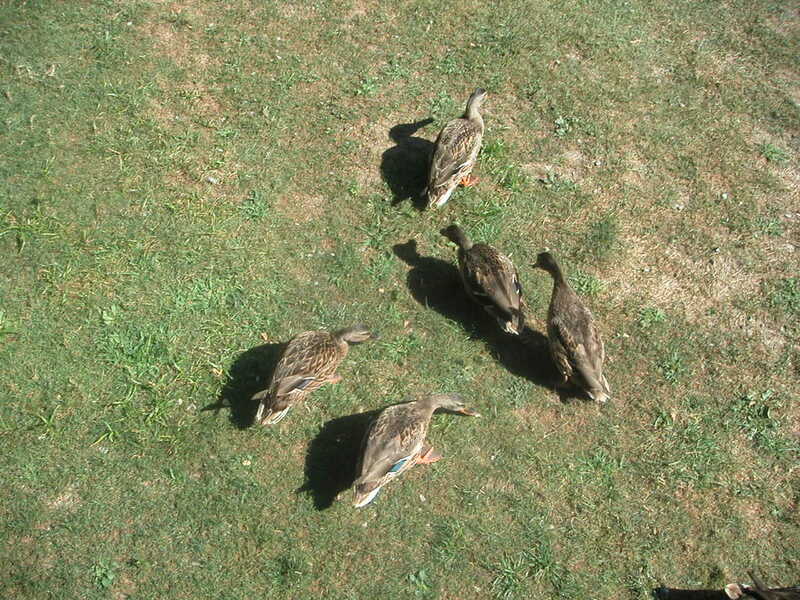 Female mallards in Walt Disney World. This little guy had a broken wing, so Nathan rescued him. We kept him overnight in our guest bathroom (away from our cats) until we could bring him to a wildlife rescue center — Wildlife in Crisis — in nearby Weston. We are happy to report they were able to save him. 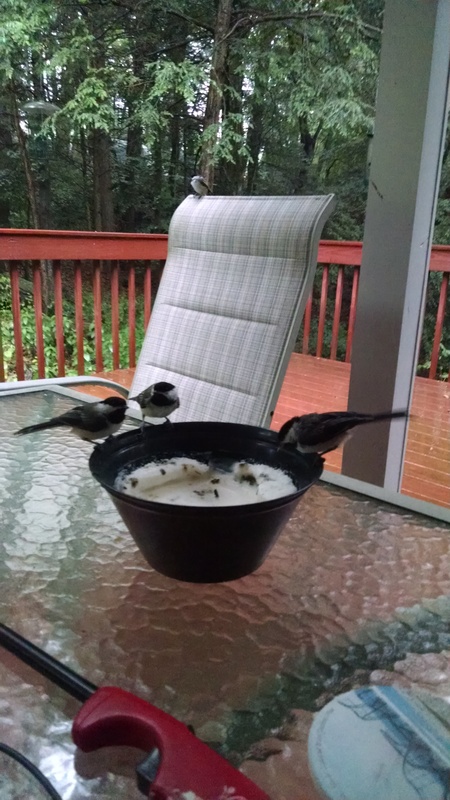 We had to get rid of our citronella candles, because we were afraid these little guys were trying to get at the dead bugs trapped in the wax, and we were afraid the wax would hurt them. Several house sparrows live inside at JFK International Airport. Red-shouldered hawk in the stand of trees behind our hotel. A northern mockingbird at our hotel. Eastern phoebe at our hotel. A ring-billed gull on River Street. American robin in Morrell Park. Brown-headed cowbirds at the Tybee Island Light Station. 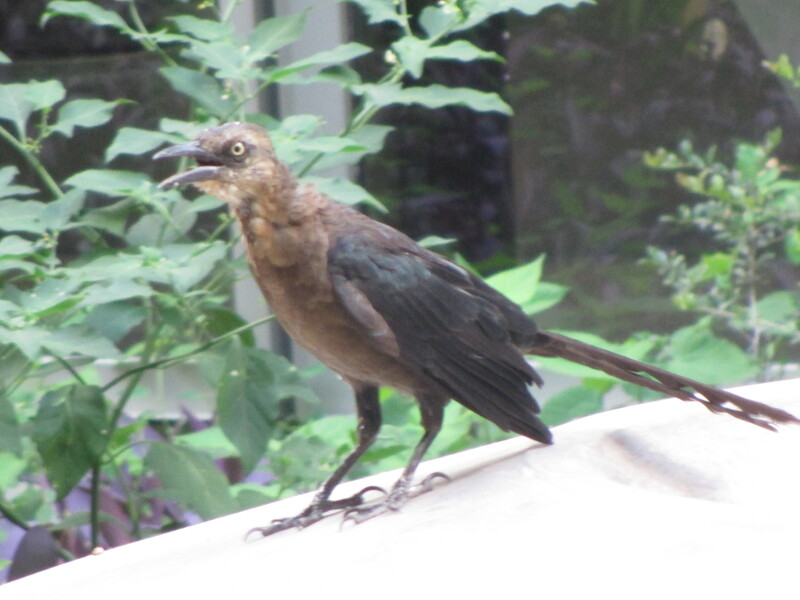 Female boat-tailed grackle at the Tybee Island Light Station. Forster’s terns near the North Jetty on Tybee Island. A laughing gull near the North Jetty on Tybee Island. Laughing gulls riding behind the Georgia Queen riverboat on the Savannah River. Posted on April 2, 2018, in Deep Thoughts & Fun Stuff and tagged Byrd's Books, Carolina Wrens, Great Backyard Bird Count. Bookmark the permalink. Leave a comment.